A clever new addition to our line, these unique attachments are both a crimp and crimp cover. 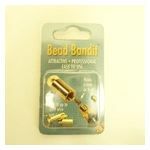 Available in gold plated or silver plated, they have threaded attachments that provide a secure and attractive cover for the bead crimp. 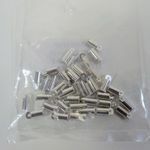 They are sold in pairs or in a bulk package of 18 pairs.